The annual World Cup of Pool returns to London as the iconic York Hall once again plays host to the prestigious pairs event from 22nd to 27th September. 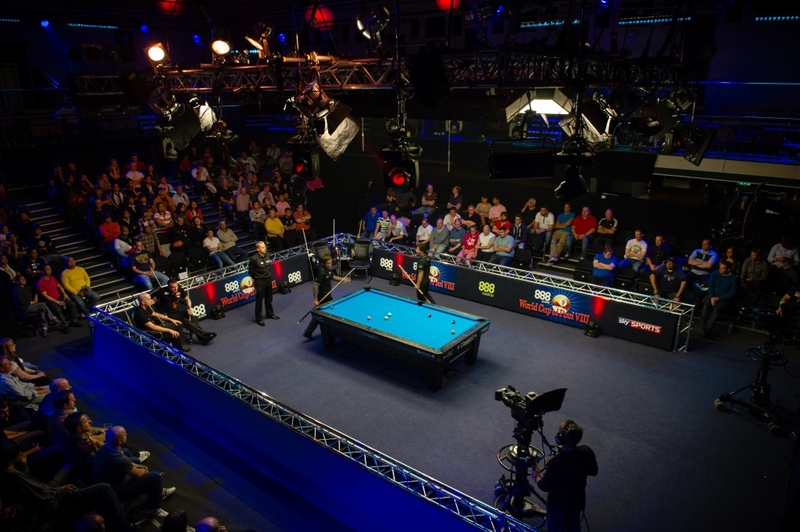 The East London venue has a rich pool history having staged the Mosconi Cup on eight occasions as well as the World Cup in 2013. Now in its tenth year, the World Cup of Pool features 32 two-player teams from around the world battling it out for a $250,000 prize fund. The defending champions are England – Darren Appleton and Karl Boyes – who sealed the title in a classic battle against Holland in Portsmouth last year. The event is stacked with some of the greatest players in the world, and there is a host of nations in contention to lift the coveted title, including two sides from the host nation. Commencing on Tuesday 22nd and culminating in the final on the evening of Sunday 27th, the event will be played to a single elimination format over six days with two sessions a day. There are 31 matches in total. Tickets are now on sale via SEE Tickets and are priced at £10.00 per evening session (Tuesday to Friday) and £12.50 per evening session on the Saturday and Sunday. Weekend afternoon sessions are £7.50 while Tuesday to Friday afternoons are free! A season ticket covering all sessions is priced at £65.00. With the Mosconi Cup taking place in the USA this year, the World Cup of Pool represents an ideal opportunity for UK and European cue sports fans to come to London and support their countries in what is pool’s No.1 atmospheric venue. Matchroom Sport Chairman Barry Hearn said, “The York Hall has proved such an outstanding venue for pool down the years, that it was an easy decision to bring the World Cup back to London. “The atmosphere is always exciting and I know the players appreciate competing in the kind of environment that only the York Hall can provide. “I believe that this year’s World Cup will be better than ever with some awesome players competing for their nations and for cuesports fans across Europe it is an essential event!” he added. The World Cup of Pool will carry a $250,000 prize fund including $60,000 for the champions. The event will be produced by Matchroom Sport Television and televised live on Sky Sports and then syndicated internationally as 31 x 1 hour programmes. Diamond Billiards are the Official Table of the 2015 World Cup of Pool; the Official Cloth is supplied by Iwan Simonis and the Official Balls are Super Aramith.